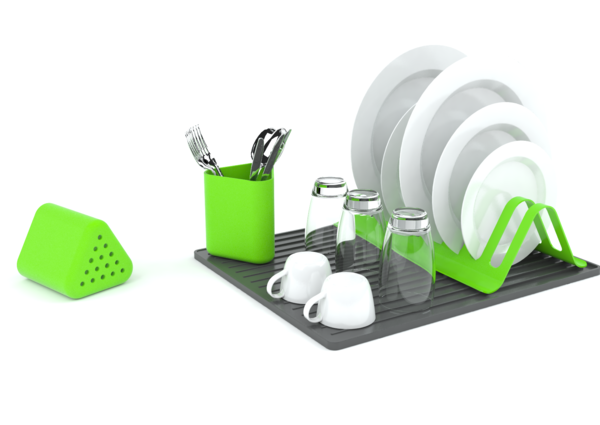 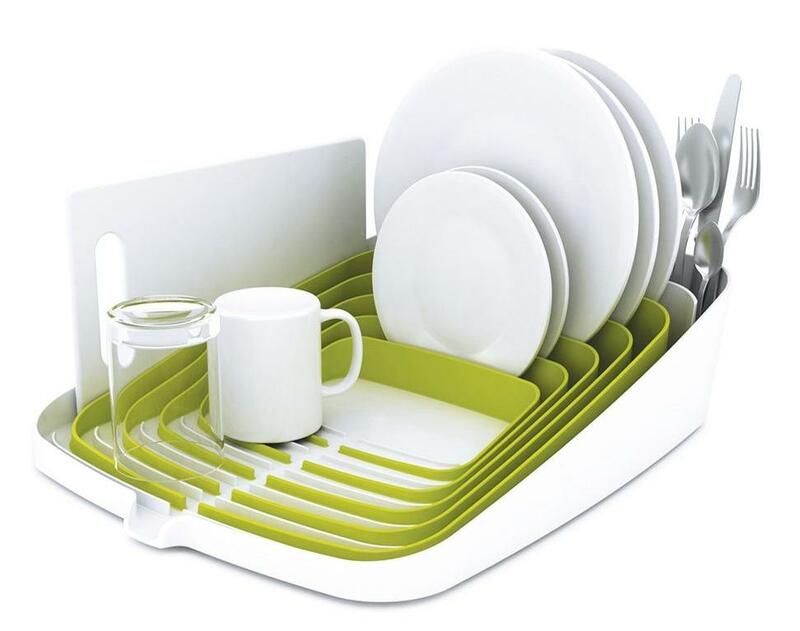 Collection of 'Creative Dish Drainers and Modern Dish Racks' from all over the world for the kitchen. 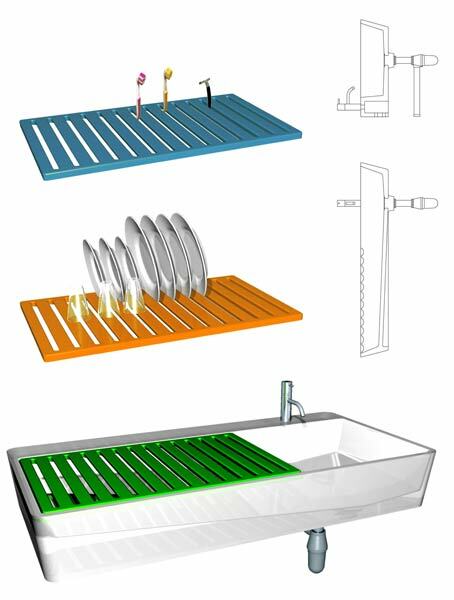 Herbs and Spices Racks: Designed by R Shnaper; its inspired from the original channel irrigation systems' design and it directs the water from the dishes into the herbs area to grow them. Aurea Dishrack: Designed by Ernest Perera, it's a flexible racks system that allows you to use whats needed and then keep them away when not in use. 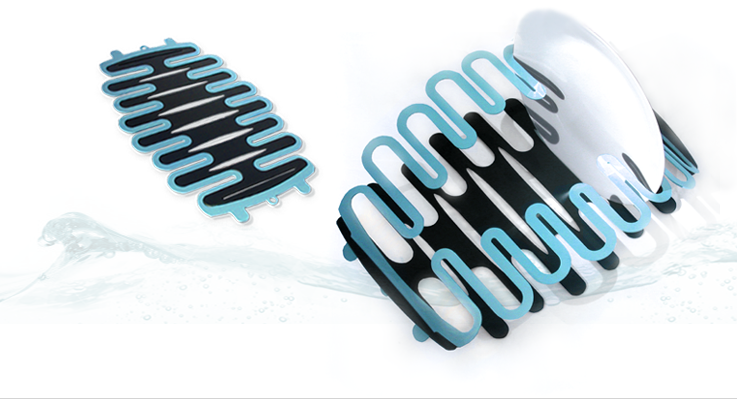 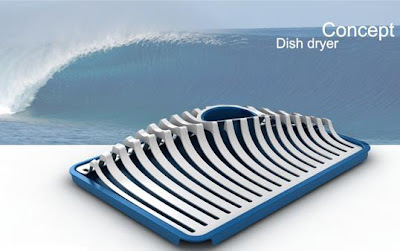 Tessellated Dish Dryer: Oceanic inspiration of designer Matias Conti created this unusual shaped dish dryer. 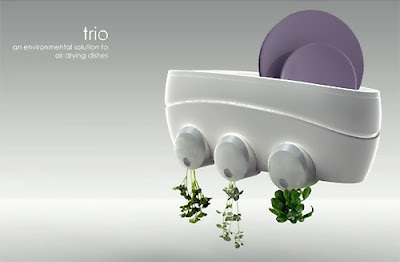 Trio Dish Drier: It has little containers at the base of these racks that has herbs; the leftover water from the washed dishes trickles down to the plants to water them. 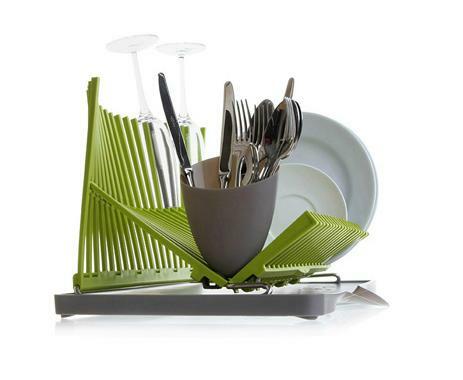 Lily Kolle's Dishrack: These cool dish racks can be fixed under the standard cabinets or over standard faucets too. 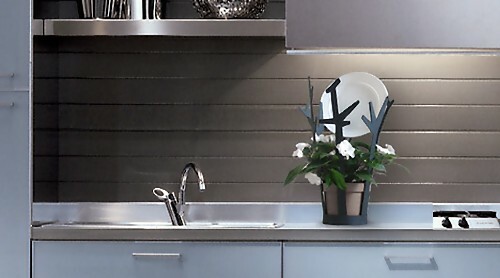 Multipla Dish Drainers: Another interesting design by designer Ernest Perera that turns sinks into dish drainers. 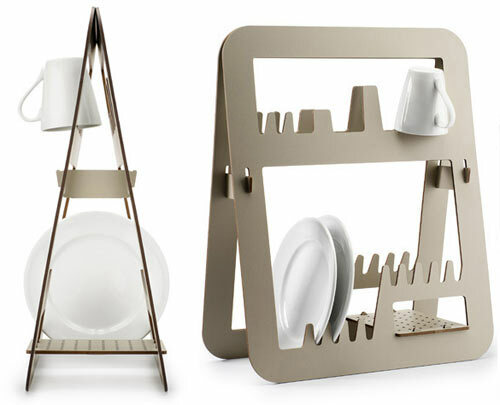 ZONE Denmark Dishrack and Cutlery Holder: It comes from ZONE Denmark, designed in collaboration with Made By Makers. Dishrack by Jill Davis Design: It's designed to address the need for additional counter space in the kitchen. Black + Blum's Dishrack: A functional dishrack inspired by architecture. 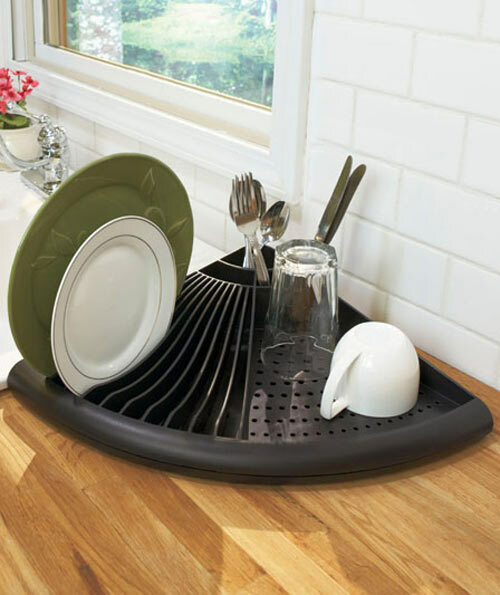 Corner Dish Dryer: It combines a dishrack, a dish drainer and a utensil basket in a sleek, modern design that utilizes tight space areas. 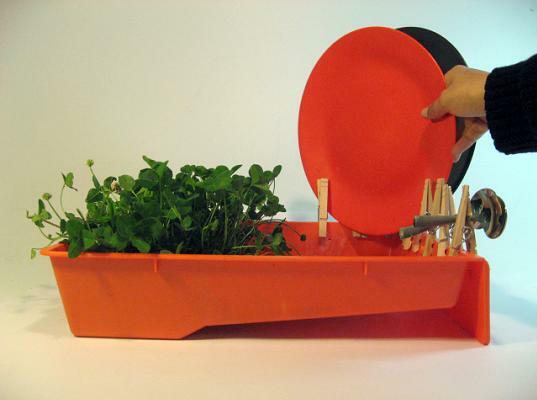 Orange Dishrack: This dishrack makes use of the water from the wet dishes to water a mini herbs garden. 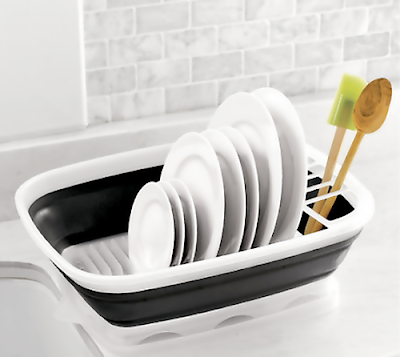 Progressive's Dishrack: A perfect choice for smaller kitchens, lets you wash up to 15 dinnerplates and can be kept away when not in use. Dish Drip Planter: This cool concept design puts drip water to good use from your drying dishes; the water from your drying dishes drips into the planter and waters the flowers. 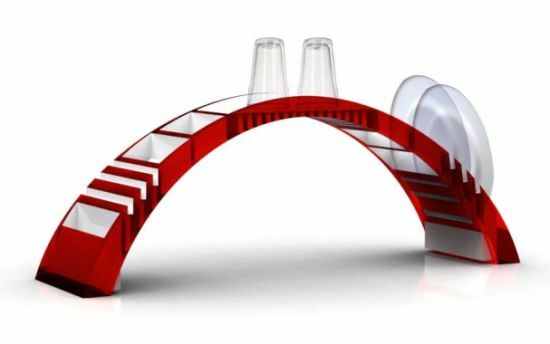 15 Creative and Unusual Sofa Designs.